#theRefashioners a.k.a sustainainable sewing fest! Have you heard of the Refashioners? Organised by sewing mastermind Portia over at makery.uk, it’s a month long sustainable upcycling marathon and challenge hosted on her blog. She invites a number bloggers to take part, and gives them the challenge to make something new out of an old piece of clothing. This year that piece of clothing is a men’s shirt. promote something that Portia simply and brilliantly describes as “economically, ecologically and ethically sound”. BUT THAT’S NOT ALL FOLKS – She’s invited all of you to take part!! Check out her website for more info (there are goodie bags to be won….). There are plenty of alternatives to mass produced RTW clothing out there, and we need to get better at embracing them – as a society. I took a pledge 10 months ago to only make my own clothes AND as an alternative buy second hand. I have made a fair amount of clothes, but I’m only now starting to get into refashioning vintage finds, and also think about alternative ways of using the fabric from clothes I no longer wear. It’s insane the amount of perfectly good fabric that gets cast away when it could easily be turned into something else. I’m definitely not a saint when it comes to having a sustainable wardrobe. I recently bulk-bought shoes from ASOS, and still buy some underwear from high street stores, as well as hair accessories etc. But not shopping has been liberating on two fronts: it’s made me increasingly aware of what I consume – I just would never go and buy RTW clothes anymore. It’s just no longer on my radar. And I get to make clothes I like. Not what Philip Green likes. If you’re interested in this no-buying RTW clothes business – try it out! Even if just for a few months. I was so surprised at how easy it was to stop shopping (I say sounding like a shopping channel advertisement…). For inspiration, check out Elena’s Seamless Pledge which inspired me to take the leap. AND DON’T FORGET TO JOIN IN ON THE REFASHIONING FUN! 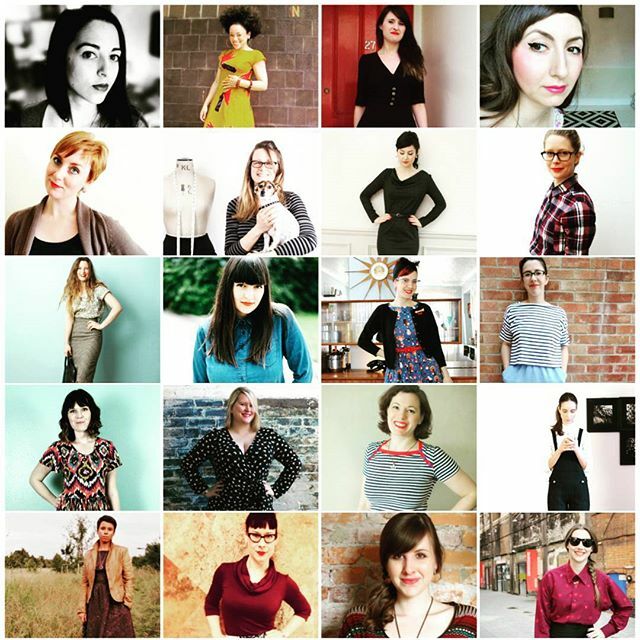 Here are some of the sewing bloggers whom you’ll be joining!